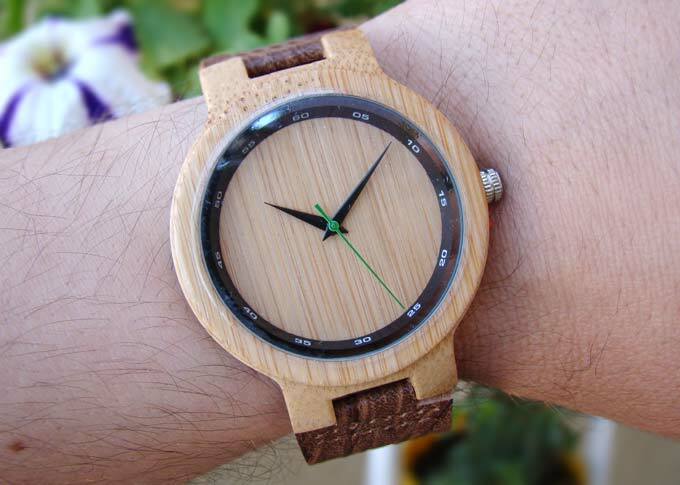 You are here: Home / Watch Of The Month / Is The Perfectionist THE Best Designed Bamboo Watch? Disclosure: For some of the products reviewed here, we may receive compensation from the companies whose products we review. For more details, please click here. 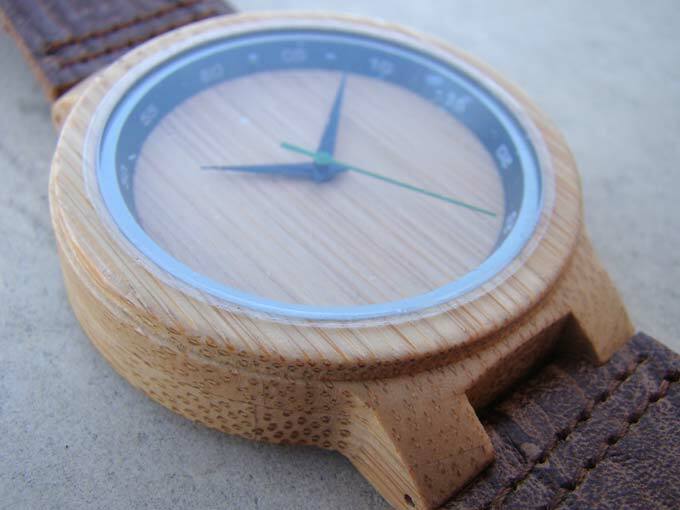 I have to admit this – a few weeks ago when I decided to write a review about The Perfectionist – men’s bamboo watch, sold by LittleOak, I had no high expectations. 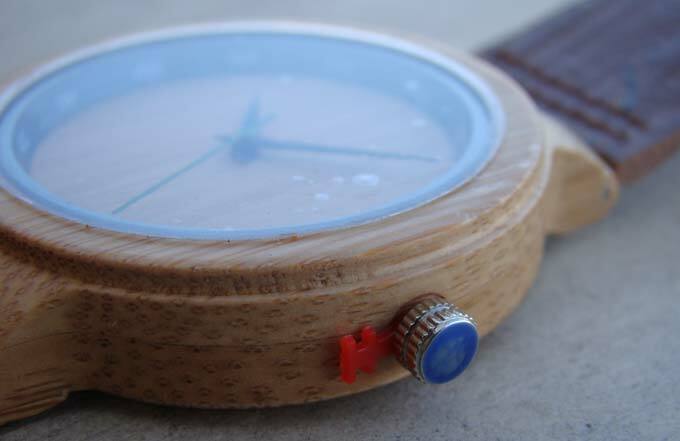 I like wooden watches, I thought (here are my 6 reasons to love wooden watches), and many people like them too. 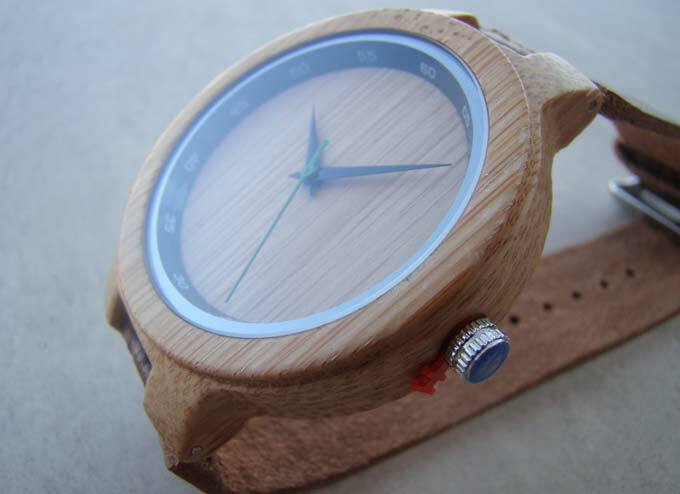 Wooden watches are great. It might be helpful for someone to learn more about one of these. Nevertheless, I was not extremely excited, to say the least. 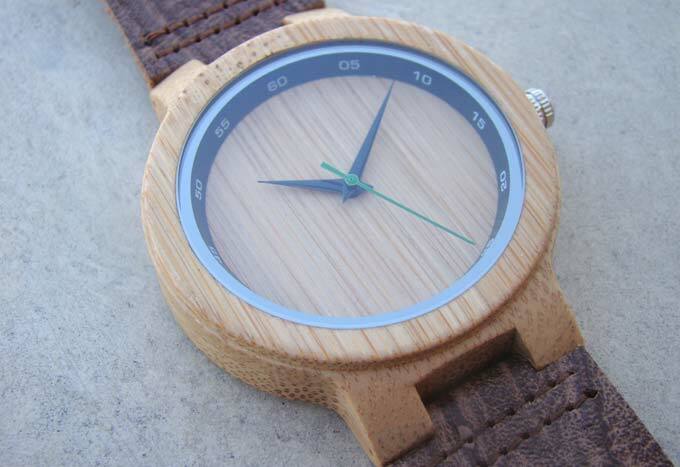 Wooden watches are modest. Most are equipped with standard quartz movements and usually have no additional features save for the basic ones. Mechanical movements are not very common and – just like the quartz ones – lack any advanced features. 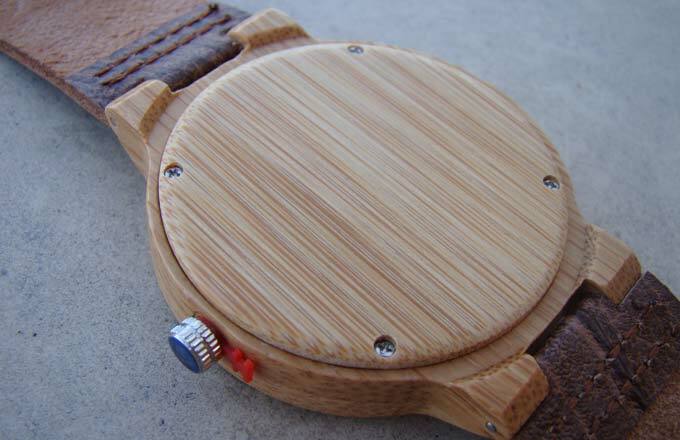 None of the most famous and reputable watch manufacturers seem to care about including wooden models in their production lines. That being the case, what can I say about the watch, which will be of any value to my readers? Everything they need to know about the watch is already written in the tech specs or can be seen in the pictures. That’s what I thought. And I was so wrong. The main feature of The Perfectionist is… well, being perfect. I know that sounds cheesy. But let me explain. I have noticed something odd the moment I unwrapped the watch to have a closer look. It took me a couple of minutes before I realized what bothers me. It was the case of the watch. The case looked like one piece – more like an object cast of plastic rather than assembled of turned wood. 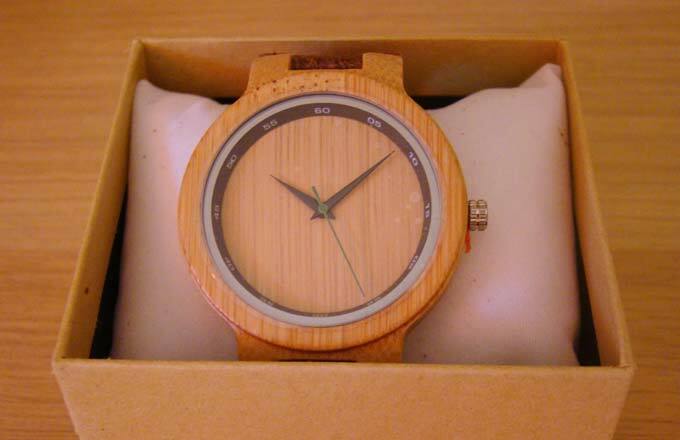 And if it were not for the mated glossiness, so typical for polished wood, I would have thought the case IS cast from plastic, patterned to resemble a bamboo. Finally, I realized that the case IS assembled of two parts. 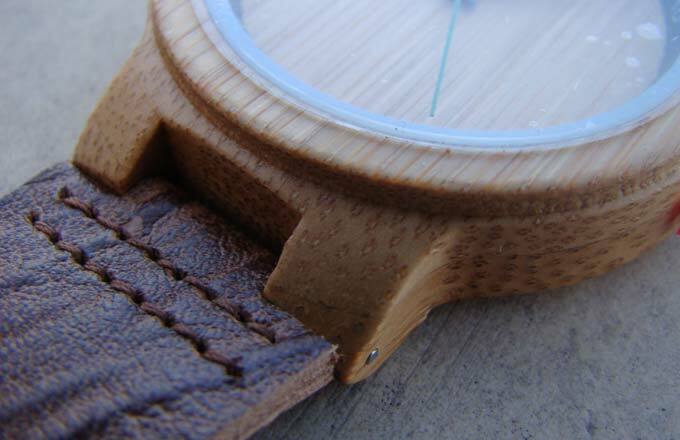 But the quality of work was so impeccable that the seam between the parts was almost invisible. And no, you can’t feel it when touching the side of the case. Well, I have exaggerated a little. Once you know the seam line is there, you will see it every time, and I didn’t need a loupe to see the seam line for the first time. But I did use the loupe to search for any other small imperfections – and I found none. 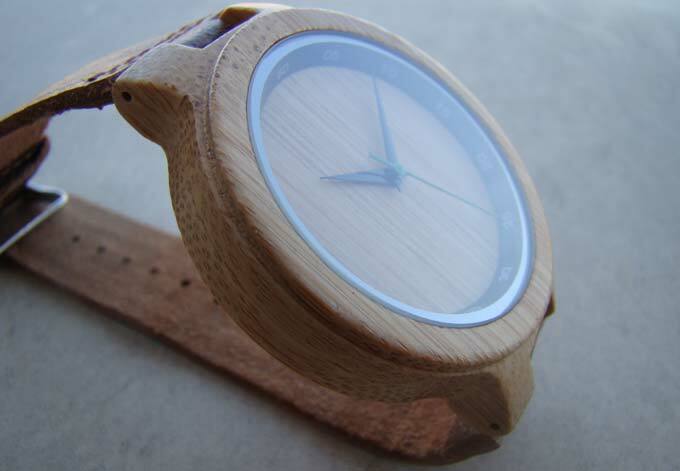 The manufacturing quality was at a level I assumed impossible for a watch made of wood. What about the non-wooden parts? The hands, the crown, the strap? No surprises here – same flawless, very-close-to-perfect quality of work. 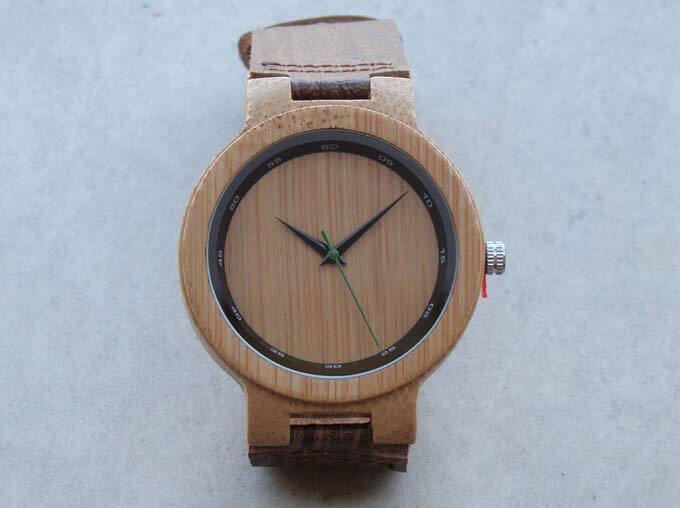 Use promo code WU500 at checkout and get The Perfectionist at 20% off the list price. The first thing you will notice about the watch after you unwrap it will be its weight. Or should I say the almost-non-existent weight? The watch diameter is 42mm – a norm for a men’s watch (perhaps even slightly on the bigger side), but still it feels lightweight. When you put it on your wrist, chances are you will forget about it the minute you take your eyes off it. Which, I must warn you, might not be that easy. The Perfectionist’s design is minimal, the elements are well balanced in terms of hue, size and proportion, and it’s not difficult to see the design has been carefully thought over. When I’m saying this, it doesn’t sound like a big deal. I mean, come on, you have to throw in a round case, three hands, and some indexes and make something readable and pretty looking out of these things. Believe me – many things can get wrong. Here’s just one of the examples. Despite its seemingly simple design, The Perfectionist is made to attract looks. 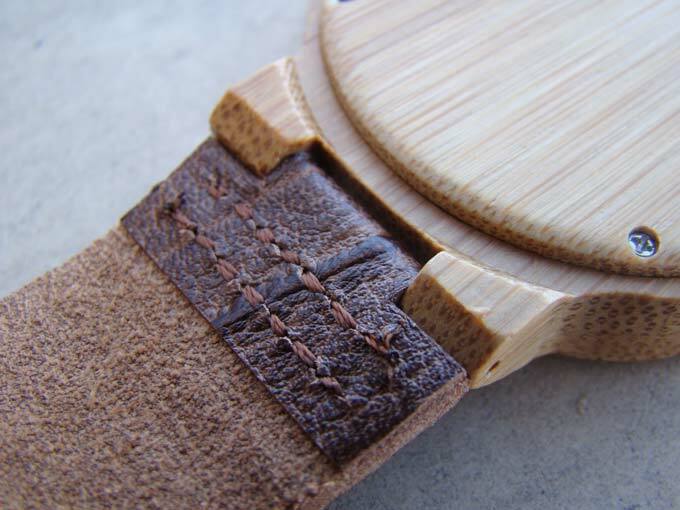 The size of the case and the width of the strap are perfect for a men’s watch. 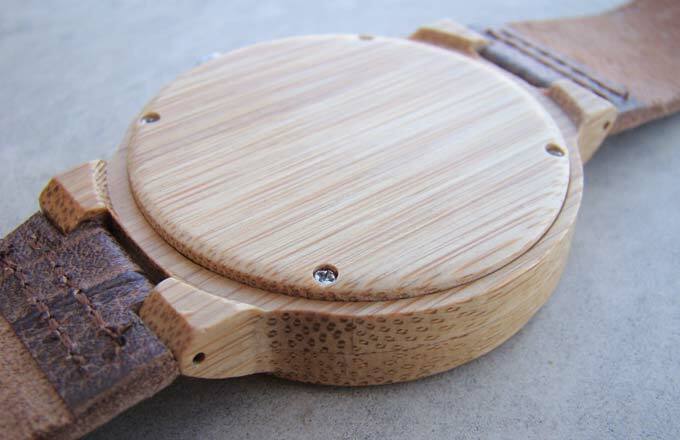 The case and the dial are made of bamboo (which explains why the watch is so lightweight). The Perfectionist has that classic, minimalist look usually associated with high quality and high price… except for in this case, the price is more than reasonable. If there’s one thing I do not like about The Perfectionist, it is the band. Do not get me wrong though – the band is manufactured with the same accuracy and attention to the detail like everything else in this watch. The band is made of genuine leather, and the inner side is soft and fuzzy – like suede – and the feeling of it on your wrist is cozy and comfy. The top layer of the outer side, however, is made of imitation leather, too hard and edgy to my taste. The other thing I don’t like about the outer side of the band is the pattern – an imitation of croc leather – which looks cheap. 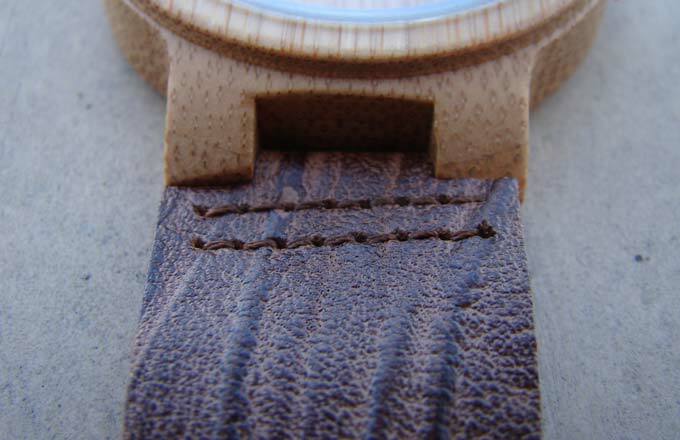 Although I must admit that this pattern is an excellent match to the bamboo grain of the case, I think that leaving the original, plain ochre color of the leather for the outer side would have been an even better match. The hour indexes actually show minutes. They are 12 in total, each located in the place of the corresponding hour index. You will notice that the bottom five indexes are printed upside down – another smart decision. This way they are aligned correctly to your viewpoint. 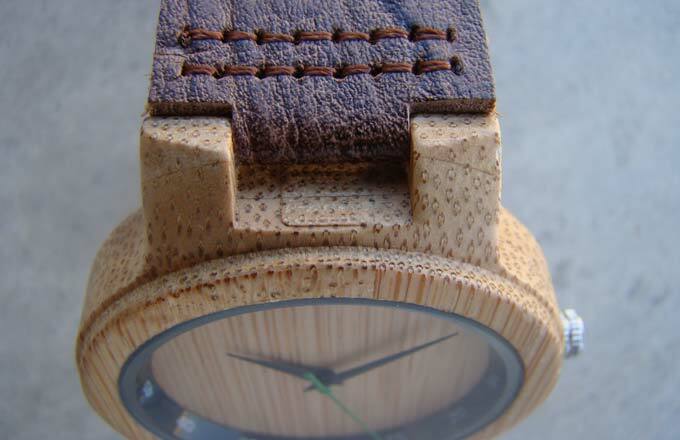 The black hour and minute hands are in nice contrast with the natural bamboo grain of the face. I particularly like the green second hand. That appealing pop of color is the final nuance in Perfectionist’s outstanding and well-thought-out design. Talking about design details, I can’t help but mention the blue colored head of the crown. The crowns engraved with brand’s logo (or enameled) are quite common to expensive luxury watches, so I was pleasantly surprised to find that here. 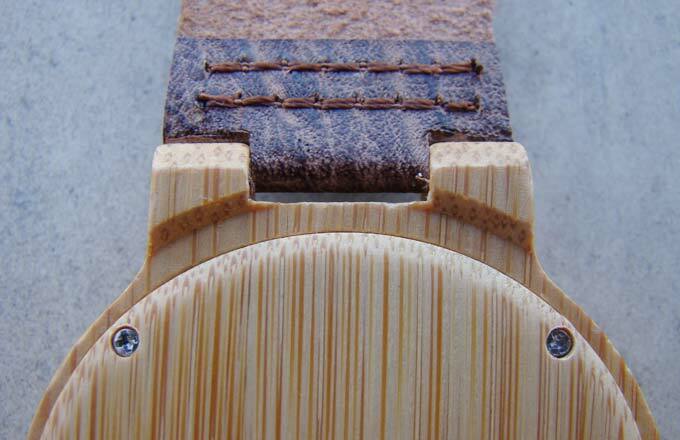 Another small detail that speaks highly about the thoroughness of craftsmanship. The dial is enclosed by standard mineral crystal glass. I’d wish it had an anti-reflective coating, although I’m fully aware that I couldn’t expect that from a watch in that price range. The Perfectionist is powered by Miyota 2035 – a Japanese quartz movement, manufactured by Citizen. The movement is simple and unpretentious, but battle-tested and reliable. The accuracy is +- 20 sec/month, and the expected battery life is 3 years. 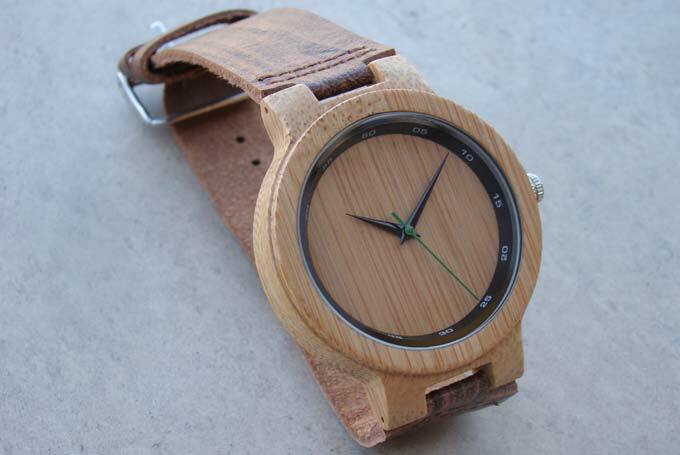 The Perfectionist is not THE perfect bamboo watch, but it comes as close as one can get to that. I was genuinely amazed by the brilliant design, uncompromising quality and attention to the detail. 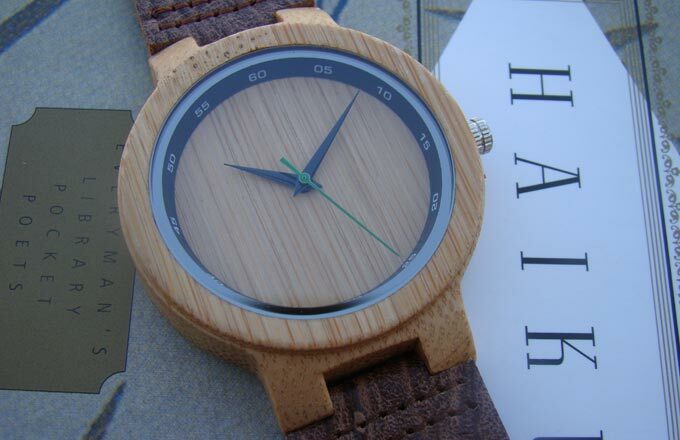 Given the very affordable price, I do believe that The Perfectionist should be on the top of the wish list for anyone wants to buy a wooden watch and who values the good design. And some more images, for your viewing pleasure.